I love and I will be always be innamorato of Italian wines. Like their cuisine, Italian wines strike me with their simplicity yet they can be deliciously complex. This idiosyncrasy is why I think I am at so in love with them. Still very much off the radar for many wine lovers are the Friulian whites. Some consider it the best white wine region in Italy, but Friuli’s wine culture is very heterogeneous for a statement of this sort. 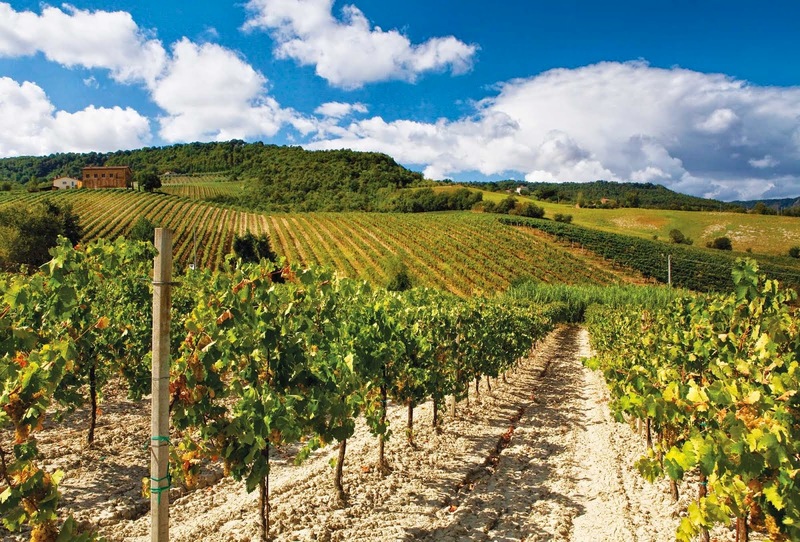 Red and orange wines form part of Friuli’s modern identity as the whites for which it first became famous. In addition, their identity with Italian wine culture is questionable. Friuli is more aligned with Austrian, German, and Slovenian traditions than those of the rest of Italy. Visintini domaine goes way back to 1884. They are located in the hills of Corno di Rosazzo in the area of DOP Friuli Colli Orientali. This Friulano is a textbook example of the variety with aromas of peach and citric fruits. In the mouth, luscious with retronasal aromas of bitter almonds. Refined and mellow . Medium body. Fruity, almost with a caramelized nuance. Aromas bringing to mind acacia honey. Soft and silky with delicate nuances of hazelnut. Very delicate finale. On the nose, aromas of meyer lemons with notes of toasted almond and nougat. On the body, full body and ample. Quite tasty with retronasal flavors bringing to mind almond cream. What better way to enjoy these wines with some of the local gastronomy. After more than a hundred years of Austrian rule, it is obvious that Friulian cuisine should resemble Central European and Slavic gastronomic traditions.Tomato-based dishes disappear and instead you find goulash, sauerkraut, sausages, potatoes and turnips. You will even find typical dishes from the Balkans, like ćevapčići (a sort of kebab). Friulian culinary specialties include jota (bean and barley soup with sauerkraut), musèt con la brovada (cotechino sausage served with turnips soured with pomace), orzotto (a dish similar to risotto, but made with pearl barley instead of rice), porcina (boiled pork and sausages served with sauerkraut and mustard), strucolo (sweet or savoury strudel), and gubana (strudel filled with minced apple, raisins, nuts, and grappa brandy). Sadly for us, it does not exist a per se restaurant in Montreal that serves strictly Friulian cuisine. Here and there some of Montreal best Italian restaurants will serve some of their dishes. These places include Nora Gray, Impasto and Bottega. Also, if you want to experience a taste of Friulian wines, you will go acquire the wines via private import. The SAQ in Quebec list only 11 whites under their catalog. In Ontario, it is slighy better. The LCBO lists about 31 products in red, white and spirits. Friuli produces some of the best grappas in Italy. This is very surprising, considering the high number of Italian immigrants in Canada from the Friuli region.